There is a variety of quality smartphone video stabilisers in the market, each promising to change your video experience for the better. Recording videos with your smartphone or GoPro camera has its fair share of disappointments, especially when you to struggle to record shake-free videos. To get stable and steady shots every time you go on a picnic or outdoor adventure is the ultimate goal, but not even the best smartphone in the market is well equipped to record stable videos even at their best. This is quite a shame for some of the high end camera phone owners out there who have iPhones and other premium smartphones that can’t really maximise on such quality due to that kind of limitation. Since smartphones don’t come equipped with stabilisers, you would expect the market to offer some alternatives that will help you beat the shake on your next video without losing sleep over it. The good news is technology has got us covered on that one. Nowadays, you only have to peek at a website like Kickstarter to see the latest innovations in video stabilisers alongside some of the hottest products in the gadget world. The best of them just require handheld support to turn your shaky videos into desirable, professional looking videos that you can share with your friends, social media, or YouTube channel. Some modern camera lenses are designed with the capabilities of image stabilisers. However, that is never enough sometimes. So, if you want to effectively take the shakes out of your videos, either from your smartphone or GoPro camera, and you want to do so without carrying awkwardly huge and costly stabilising rigs and equipment, you'll be glad to hear about StaybleCam. 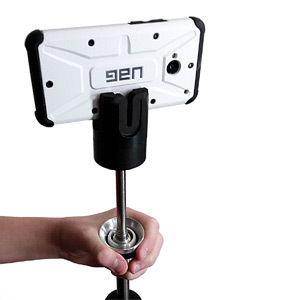 Stayblcam is an outstanding smartphone video stabiliser. It allows you to get very similar benefits as if you were using professional stabilisers. 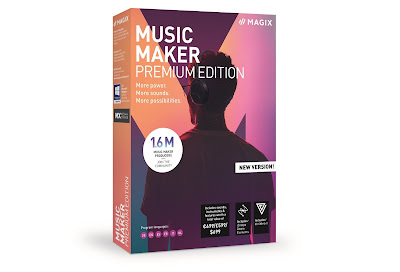 At $74, it allows you to have an edge over ordinary recording and see firsthand why it gives professional equipment a run for their money. Be it your baby’s first steps, playing with your dog, barbecue party, or a fun road trip, with such a gadget at your disposal, you are able to let your creative side dominate and capture every special moment with amazing shots that you would normally find hard to do. 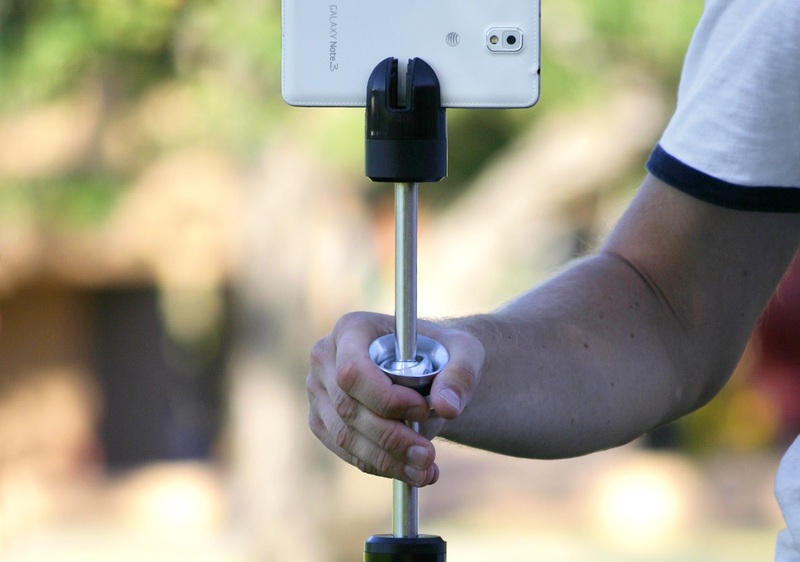 Stayblcam is a unique stabiliser and one in few that works perfectly well with smartphones, GoPro and compact cameras while being portable and user friendly. The size is favourably less than two feet long and just over two inches wide. With a weight of almost one pound, it is not something you can carry around your back pocket everywhere but is light enough to be ferried around in your bag. There is a foam slot designed on the mouth of the stabiliser which allows you to fit a smartphone or camera and hold it in position. To effectively hold a camcorder, Garmin Virb or GoPro, you simply unscrew the head and mount either of them on a tripod screw underneath. The other end of the stabiliser has a cylindrical finish that makes up for much of its length. The entire thing is made up of a mixture of ABS plastic, a matte collar with a foam rubber grip for holding the smartphone in place, and an aluminium handle at the centre. 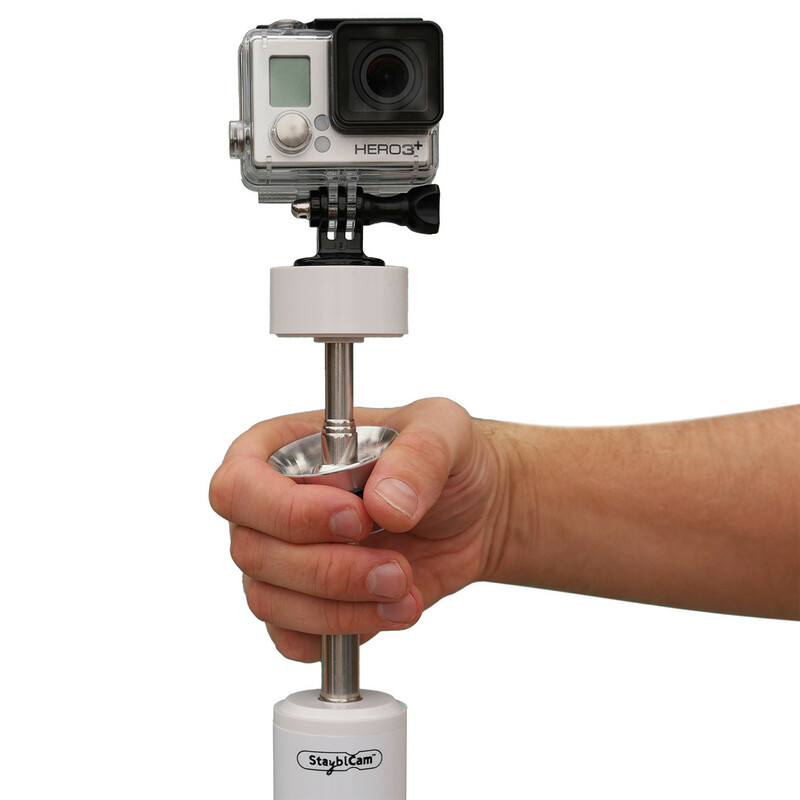 You balance the StayblCam by placing your thumb on the gimbal in the middle and hold it looking upwards. Wrap your forefinger around the grip and balance it steadily with the other fingers gently against the upper pole and bam, and you are ready to start recording! Although it may sound a bit technical on paper, it doesn’t take any more than a few minutes to get the hang of it. If you record videos regularly, it will be hard to leave this item at home because once you get accustomed to the near professional results, you will not want to reverse to shaky videos again. Being highly portable is another added incentive that you will want to take advantage of on your next trip. At its affordable price, you will have found value for your money.